About 18 months ago I came to the conclusion that the effort I was putting in at the gym wasn’t getting me anywhere, or at least not quickly. I started looking around online for inspiration with three goals in mind – get stronger and get leaner naturally. I wanted to look like I lifted weights, I wanted a six-pack and I wanted to do it naturally. 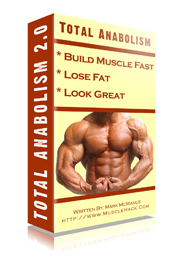 I read through a large number of sites, and eventually stumbled on the site by Mark McManus (not the one of Taggart fame – but rather an Irish bodybuilder). approach of progressive overload described made sense and also made me realize that my aimless workouts weren’t doing me ay favors. my squat is 3 times as heavy today as it was 18 months ago. I quickly started noticing results, and armed with this decided to be more aggressive and order his Total Six Pack Abs program – a bargain. This armed me with dietary tools for shedding fat while staying strong, and it worked great. In no time my body fat dropped to a level where I could see my abs. To this day I follow the carb-cycling principles outlined by TSPA, and continue to stay lean and strong. So a big shout out to Mark – thanks for getting me on track and helping me stay there.